Millennials are coming to grips with the fact that burnout is real. If we’re so busy hustling all the time, how can we even begin to prevent the burnout? 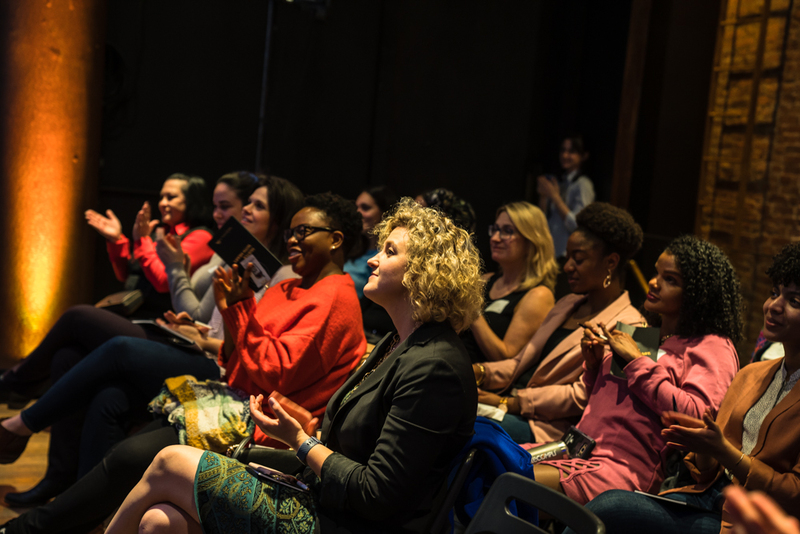 “Hustle With Heart,” an exclusive event hosted by Justwomen x Shine in New York City, aimed to grapple with that question. Justwomen brings together accomplished women with the goal of promoting growth, sharing knowledge, and building community among women entrepreneurs. “Hustle With Heart” offered a deep dive into the concept of self-care, discussing what it really means for today’s professional women to achieve mental, physical, and financial wellness. 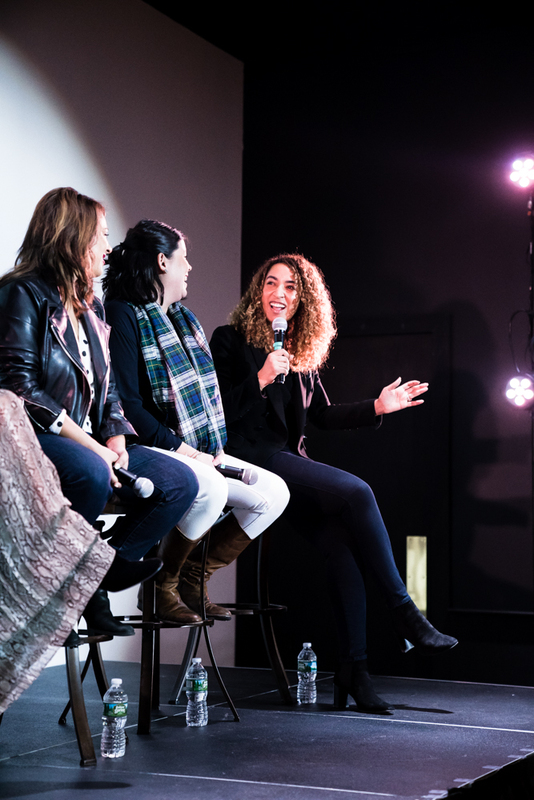 The panel was facilitated by Soraya Darabi, Managing Partner at Trail Mix Ventures, and the discussion offered some great insights into how these women interpret self-care and hustle. Self-care as a term and a concept feels pretty trendy, to be sure. But why now? Why the shift from self help — all the shelves of books that explained how to fix our problems — to this new industry around self-care and finding preventative solutions? Hustle with heart means taking it easy on yourself. It means self compassion. After more than a decade of this lifestyle, which causes many people anxiety, depression, and burnout, maybe we’re finally ready to say enough is enough. Self-care provides a helpful solution. If self-care is a trend, reframing the issue might be one way to maintain the longevity of the concept. The title of the evening, “Hustle With Heart,” offers another way to think of this idea. When the panelists considered what this phrase means to them, a couple themes cropped up. Marah Lidey echoed this sentiment. “We’re ambitious, we want it all. We also want to watch Netflix for five hours on a Saturday and not feel bad about it,” she said. “Hustling with heart means treating yourself like you’d treat your best friend.” In other words, it’s about encouraging women to not be so hard on ourselves. Naomi Hirabayashi pointed out that what it has traditionally looked like to be an entrepreneur, founder, or CEO is changing. Typically these terms bring to mind the idea of someone who works nonstop to get to the top. Hustling has come to mean working too hard. We want it all. We also want to watch Netflix for five hours on a Saturday and not feel bad about it. “The narrative around hustling has only looked a certain way for a really long time,” Naomi said. “Hustling with heart means resetting a new narrative that’s not about driving ourselves into the ground. It’s when you go big and go home.” It’s about finding that elusive work-life balance. The panelists agreed that self-care is different for everyone, depending on their personal experiences. Granted, that makes is tricky to pinpoint what self-care really is or looks like. We all want to discover the best ways to take care of our physical, mental, and financial health. But there’s no one right way to do it. Self-care doesn’t have to be a lofty goal. Sometimes, it really just means covering the basics. Get a better grasp on health insurance, contribute to your retirement savings, and take time to focus on your mental health. These are a few places to start. At the end of the day, figuring out the way to incorporate work-life balance and to hustle with heart in our own lives is something we’re all working on. Figuring out how to hustle with heart in our own lives is something we’re all working on. “I haven’t figured out self-care yet,” Rachel said. “I am an absolute work in progress. It’s a journey.” Part of the journey is letting go of the all-too-common imposter syndrome. “I’m in the room for a reason, I got the job for a reason, I know what I’m doing,” said Katrina. She encouraged people to spend time with those who support them to set up a strong foundation. Sharing our experiences is an opportunity for women to learn from each other. 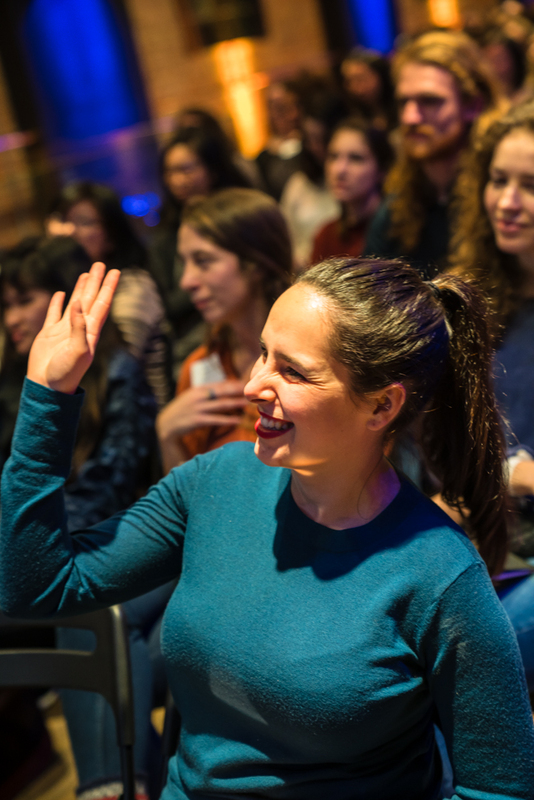 Through dialogue like the one at this event, and future Justwomen events, we hope more people can learn to hustle with heart and avoid burnout.